The UK risk outlook is expected to deteriorate still further from the two downgrades made since the EU referendum, and although uncertainty looms, the immediate impact of the vote has already taken shape. But what about its impact in the long term? Despite finishing 2016 reasonably strongly, the outlook is bleak as the weak pound continues to push up inflation. The UK risk outlook is expected to deteriorate still further from the two downgrades made since the EU referendum, and although uncertainty looms, the immediate impact of the vote has already taken shape. But what about its impact in the long term? 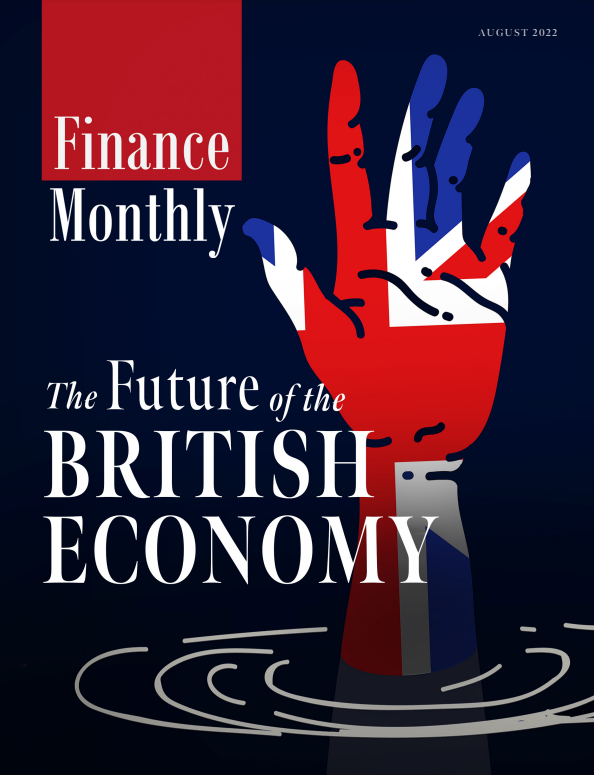 To answer the question about what Britain’s industries, markets, and sectors beyond financial services will be affected in the long run, Finance Monthly has heard ‘Your Thoughts’, and formulated a rundown of your expert opinions on what to expect months, even years from now. We’ve now entered the month Theresa May pledged to trigger Article 50 and initiate the UK’s exit from the European Union (EU). This means it’s time to critically assess the long-term impact of Brexit on the UK’s property market. The shocking result of the 2016 June referendum introduced a greater degree of uncertainty to the UK economy and property market. The weakened sterling and rising consumer inflation combined with the higher stamp duty tax has meant buyers, investors, and developers are exercising more caution. Over the next few years, weaker economic growth and increasing pressure on spending power will undoubtedly dampen some housing demand and consequently, lower house price growth rates. It’s hard to predict what the long-term effects of Brexit without knowing the kind of trade deal we secure with the EU. However, that’s not say there aren’t already signs giving us an indication of what the future of the property market will look like. In fact, the latest Halifax House Price Index showed just how resilient UK property prices have been in the face of multiple tax changes and the looming Brexit. There’s good reason to be cautiously optimistic about what the state of the property market ten years on from Brexit. Firstly, low levels of supply will continue to buoy housing prices and stoke buyer demand across the UK. People looking for better yields and investments will look for new locations as business slows in central London. This means we’ll see greater interest in areas & cities outside inner London like Oxford, Cambridge, Manchester, and Bristol. Compounding this is the vulnerable, depreciating pound that has made the exchange rate on UK property very favourable for foreign buyers in China and the Middle East. Even if domestic and EU buyers remain indecisive about whether to dive into the property market, many other foreign buyers see central London and other UK cities as stable property assets in the long-term. We have also heard overblown fears over the number of banking and business jobs that the country will lose when we exit the EU. The UK remains one of the top three cities to invest in (behind the US and China), partly attributed to London’s global position as a leading business and cultural hub. While Brexit may have some influence, there is no evidence to suggest that London’s position is likely to change in any dramatic fashion over the next ten years. As the indicators for our nation’s economy continue to be strong, we will see the same in the property market. While 2016 made clear the prediction game is never certain, the strong fundamentals of the UK’s property market will help it navigate the short-term volatility Brexit will bring to our economy. Meaning Brexit is actually an opportunity for buyers & investors willing to take the long-term view on a market that has historically been the nation’s most resilient in times of turbulence. Brexit has not yet happened and its terms are currently completely unknown so it’s impossible to predict how long its effects will last. What we may be able to predict, however, is the effect of the period of post-referendum, pre-Brexit limbo that we are in and likely to remain in for some years. On that, although there are good arguments to the contrary, I am choosing to take an optimistic view. I predict that in the next few years, British businesses will act with caution but will find themselves periodically surprised by the resilience of the economy and the enthusiasm of the British consumer and, in that light, will be sufficiently reassured to invest more then they currently expect to and will find growth and profit ahead of forecast. Beyond that, as elections take place across Europe and the Donald continues to tear up the US rule book, Britain may find itself in the ironic position of enjoying a period of greater certainty than other major nations because our decision is made and our government is stable – thanks to Jeremy Corbyn’s counter-productive efforts there’s virtually no chance of a change of government here – whereas theirs are anything but. That could be good for inward investment in the short and medium term even if longer-term doubts remain. And the long-term is by no means guaranteed to be bad: If Britain can indeed prosper calmly through the next couple of years while other economies thrash around in the political sea, we may then find that our negotiating position strengthens, and the deals we strike might be better than we initially thought. I still hate the idea of Brexit at an ideological level but, in support of democracy and national self-interest, I am looking positively ahead. A post-Brexit world is not something that is easy to predict. Currently, Pound Sterling fluctuations, inflation surges and political uncertainty are all pieces of a jigsaw that are very difficult to piece together. The consensus of an uncertain picture is therefore quite bleak, but it’s important for businesses to remain calm in this period of transition. However, despite business’ uncertainty in a post-Brexit era, there has been cause for optimism. Global mergers and acquisitions haven’t slowed (the recent news that Sky PLC has agreed to a £18.5bn takeover by 21st Century Fox supports the claim that businesses are willing to continue in the same vein) and there has been a surge in manufacturing exports since the vote to leave the EU. However, the outlook has been gradually deteriorating since the start of the year; sales figures in the retail sector fell in December and January, while Purchasing Managers’ Indices in the manufacturing and services sectors have eased, yet still stand comfortably in growth territory. Regardless of this, the full ripple effect of Britain’s exit from the EU has not yet been felt for one clear reason; Britain hasn’t actually left yet. But what happens after could shape the future of the country. From a trade perspective, tariff-free access to the EU’s common market could be impacted if talks break down about a free trade agreement and World Trade Organisation (WTO) trading rules are implemented instead. This change in tariff policy could cause some challenges for UK companies involved in sourcing from the continent (as production costs would go up) or selling to it (as companies would need to increase sales prices to cover the tariffs). Positively, Dun & Bradstreet’s baseline scenario still expects trade across the Channel to be carried out tariff free once Brexit is completed. The true financial landscape will likely not become clear until 2019, once the UK has fully exited the European Union. Financial institutions will need to take stock and react accordingly to the swaying of the financial markets which will no doubt prove problematic to begin with. Over the short run, it seems likely that the government would try to counterbalance the negative economic impact of a hard Brexit by increased spending (in order to make its policy a success and maintain public support). Over the long run however, public services (including schooling and healthcare) might have to be scaled back even further in order to reduce the excessive government deficit to more sustainable levels. Depending on what sort of deal is struck between London and EU, it is impossible to say when the country might return to ‘normality’ again. Businesses must, however, remain calm and not panic. After the implementation of Article 50, businesses must remain cautious until the pieces of the Brexit jigsaw are slowly put together again – a process that we expect to begin after the German elections in September 2017. Most economic forecasters are united in thinking that Brexit will make the UK worse off in the long run than it would have been staying in Europe. The reasoning tends to be that European competition has enabled the UK to specialise in what it’s good at – for example, financial services – boosting productivity, wage rates and national income. Also, the UK has benefited from foreign firms locating here as a gateway to European markets. Brexit is expected to unwind these benefits and, for now, there is huge uncertainty over what trading arrangements might replace our membership of the European club. However, even if the nation as a whole is worse off, the impact on households is likely to be uneven. Trying to predict winners and losers is like looking into a muddy crystal ball, because it will be impossible to separate pure Brexit effects from policy responses. Crucial for households is what happens to inflation and interest rates. Inflation is already on the rise due to a sharp fall in the pound (currently around 12% lower than its pre-Brexit-vote level ). This reflects reduced confidence in the UK’s economic future and pushes up the price of imported foodstuffs, oil, clothes and all the other foreign goods and services we love. Wages are failing to keep up, so household incomes are expected to be squeezed. If Brexit does reduce productivity, then depressed wages could persist for a long time. Inflation is sometimes called a hidden tax because it erodes the value of fixed amounts of savings and debts, so tends to benefit borrowers but is bad for cash savers. The impact could be dampened if interest rates were to rise, but, so far, the Bank of England has suggested that it will not try to rein in inflation by raising interest rates because this could tend to depress economic activity and cause unemployment. However, loose monetary policy tends to push up asset prices, so households with property and equities may be winners. Over time, the biggest Brexit effect may be shifts in employment with some households facing job loss, while at the same time new job opportunities open up. For example, the financial services sector may shrink and foreign car manufacturers may shift production elsewhere. Meanwhile, jobs with exporting firms could mushroom, since the lower pound makes the foreign price of exports more competitive. Households that are likely to benefit most are those who are willing to be flexible and go wherever the Brexit tide takes them. As Brexit negotiations drag on despite the rapid approach of the ‘deadline’ to trigger Article 50, the financial world remains rife with uncertainty. Whilst news that the UK economy grew 0.7% in the fourth quarter of 2016 has been attributed by some to a ‘Brexit Bounce’, it is by no means the whole story. This better than expected economic growth has been associated with a rise in household consumption and manufacturing, with services and construction also ending the year well. However, it is worth noting that over the same period, investment was down 0.9% on the previous year and trade remained largely unchanged. The next few months are sure to see further developments and unexpected economic revelations, as companies trade under changeable conditions. In the run up to the Brexit vote, Cedar saw many clients understandably adopting a more cautious position on hiring; many have taken an interim approach, by recruiting senior support staff on a flexible basis rather than committing to permanent headcount. Amid the turbulence of the current political and economic environment there is arguably an even greater need for top-tier expertise on the board to steer businesses through the uncertain waters. To this end, we have seen a rise in demand for interim Finance Directors, CFOs and CPOs in the last few months. Small and middle-sized companies in particular can benefit from an experienced interim practitioner who can bring their commercial acumen and insight to the table at a critical time. In discussions with clients and staff, I often hear people wondering when things will ‘return to normal’; I believe that over time the world of finance will simply adapt to a ‘new normal’. Forward-thinking companies can be instrumental in shaping this future through the creation of their own ‘Department for Brexit’, tasked specifically with adjusting their strategy to match the new risks and opportunities faced by Britain as it exits the European Union. Trying to predict when things will be ‘normal’ again post-Brexit is nigh-on impossible. The business landscape will change forever and it is hard to see when things will go back to how they were. I suspect we will look back regretfully at our decision to leave the EU, especially given the Prime Minister now seems set on a hard Brexit. Leaving the EU will have many long-term repercussions, culturally, politically and of course economically. Europe is a key market for many UK businesses, with 96% of British SMEs who export, exporting into Europe. Being unable to trade so easily will inevitably have an impact that could last for years and years. The uncertainty facing the business environment at the moment is very difficult and is certainly causing challenges in my business where we work with SMEs and large banks – both are playing a ‘wait and see’ game and avoiding long term commitments. But recent developments revealed in a series of interview with City of London business leaders has shown the real fear that the loss of banking jobs to EU countries could threaten financial stability across the continent. The immediate loss of a few thousand jobs is in itself not necessarily a disaster, but there could be a major knock-on effect in terms of financial stability if common regulation is not agreed with the remaining EU members. The movement of labour across the EU has also been a real positive and there are many UK businesses who rely on the availability of a workforce with diverse skills from across the EU to grow their businesses successfully in the UK. Ormsby Street for example, now employs 12 people, three of whom are from other EU countries. Without this access to talent, future growth could come under threat and there are serious questions about how UK business can replace that talent in the long-term. As we head for Brexit the future of the country’s economy is naturally being called to question. But with uncertainty comes the opportunity for change and what better time for the UK to invest in its community of emerging entrepreneurial talent and product innovation? Yes – the glamorous tech sector is in the middle of a funding frenzy, with over £6.7 billion invested into UK tech firms in 2016, but what about the country’s food and drinks sector that’s worth around a staggering £100 billion and represents manufacturing’s most profitable sector? The fact is, as we head for Brexit, we’re going to need to stand on our own two feet and backing the full spectrum of our entrepreneurial talent will become a necessity. It will no longer be enough to invest in just the tech sector. We’re not Silicon Valley and we shouldn’t try to be. Britain’s heritage lies in product manufacturing – we’re really good at it. After all, the UK is the birthplace of the Industrial Revolution. In the long-term, Britain’s food and beverage sector could be the lynchpin of a robust economy for a breakaway UK. Broadening our horizons to look at more than just tech start-ups will give our economy the chance to not only survive, but thrive. It’s imperative if we want to boost our economy and stave off competition from abroad that we invest in our grassroots companies both inside and outside tech. As we exit the bloc we need to give credence to our manufacturing sector. Last year alone, 16,000 new food and drinks products launched, which makes investing in FMCG something of a no-brainer. Our expertise as a country sits in the realm of making things. Food, drink, beauty, health, cosmetics and wellness – manufacturing is our heartland and where we face the least outside competition. It’s not to say that we shouldn’t invest in tech, but rather that we shouldn’t put all our eggs in one basket if we want the post-Brexit economy to flourish over the next decade. Cox Powertrain is working on a ground breaking new engine and relies on the highest quality talent. Like many British businesses, our team is international, driven by a need for the best quality people available. Post-Brexit, we hope any new visa processes remain straightforward, allowing us to continue to draw on the best possible talent. Brexit is pretty much unchartered territory for everyone and I think it is difficult to predict what the long-term impacts on the UK might be. I think the one thing we can say for sure however, is the likely effect of the uncertainty that Brexit brings to both the markets and clients’ portfolios in the short term. Each time news hits the markets of either side (i.e. the UK or the EU) making progress with how they stand post Brexit, the relative perception of this news being either positive or negative in nature will cause the markets to react either upward or downward, thus affecting clients’ portfolio values. This will continue to impact clients and their portfolios for as long as any doubt remains as to how the financial aspect of Brexit will affect UK based businesses and the UK and EU financial markets as a whole. Ultimately though, post-Brexit, the fundamentals of advising clients are unlikely to have changed. 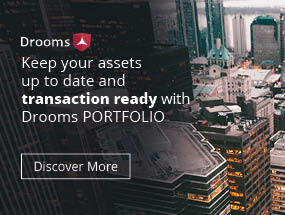 As long as investors are suitably diversified in line with their views on risk and overall investment objectives, the effects of Brexit long term we foresee as being no more dramatic than other events in history which have caused short term issues, such as the recent banking crisis.